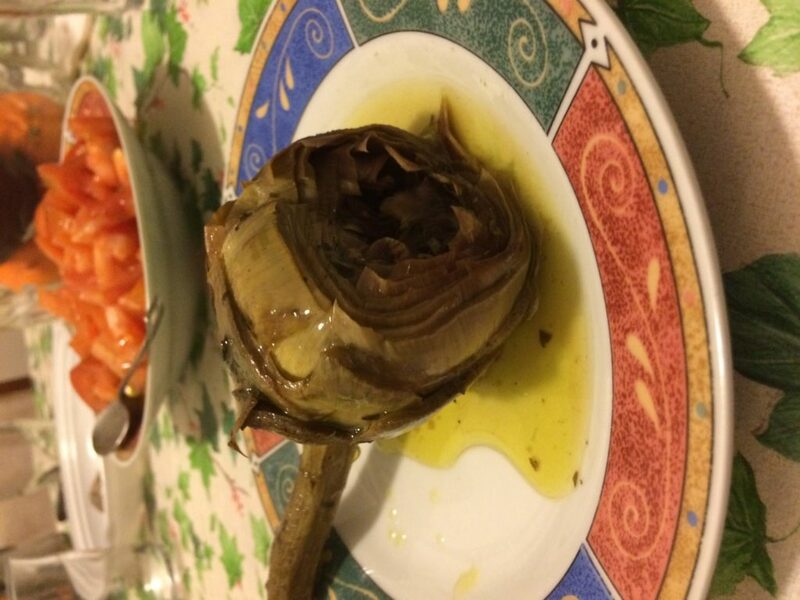 Artichokes play an important role in Italian cooking and Roman style artichoke is a typical dish of Roman cuisine. 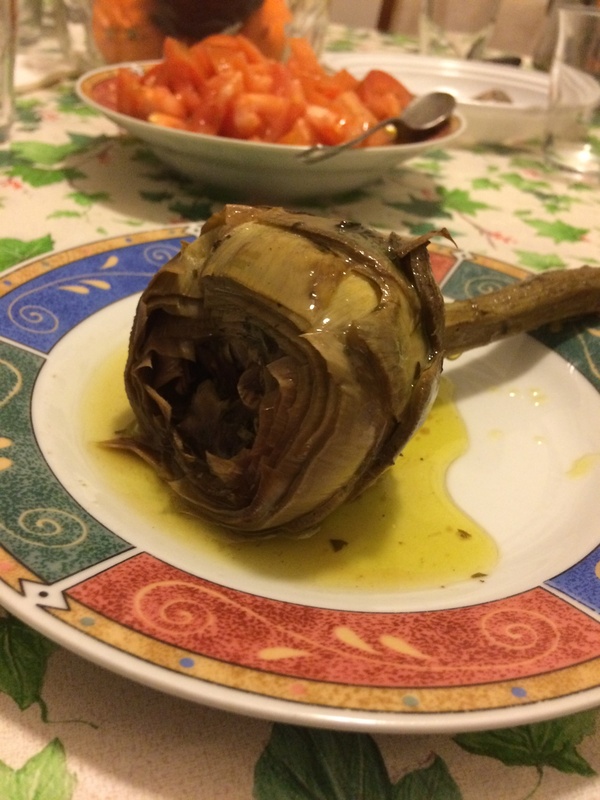 Carciofo (artichoke) Roman style use the smaller, violet artichokes. 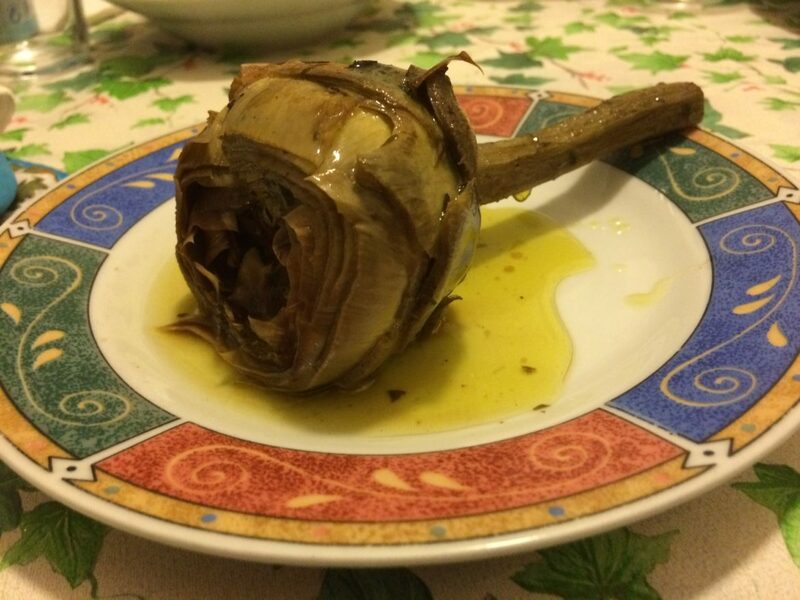 They are very different from other types of carciofi, certainly of superior quality! 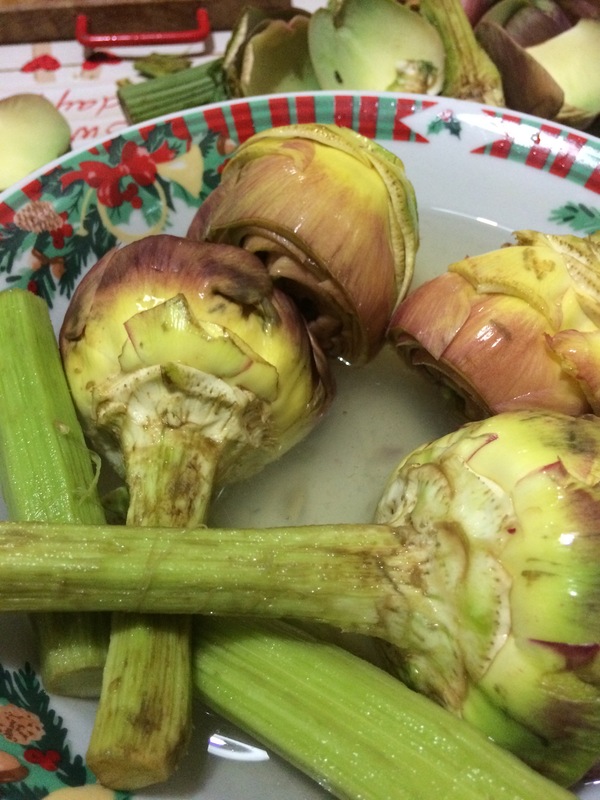 The tough, outer leaves are stripped away and the stem is peeled. 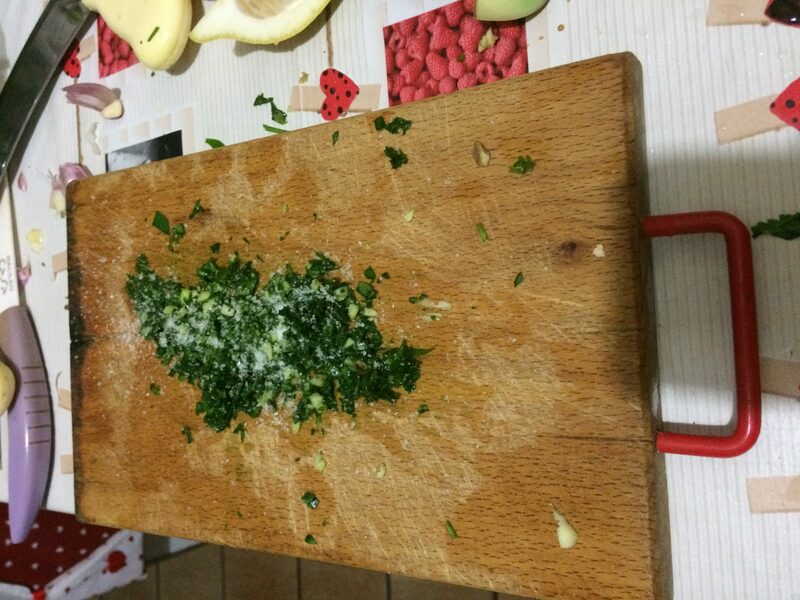 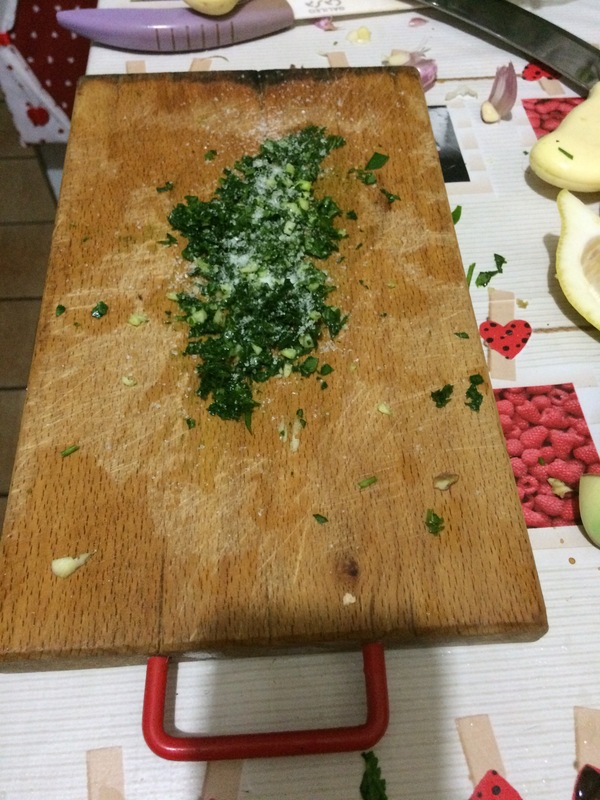 In a small bowl, combine the parsley, mint, garlic, salt, black pepper and 1 tablespoon extra virgin olive oil. 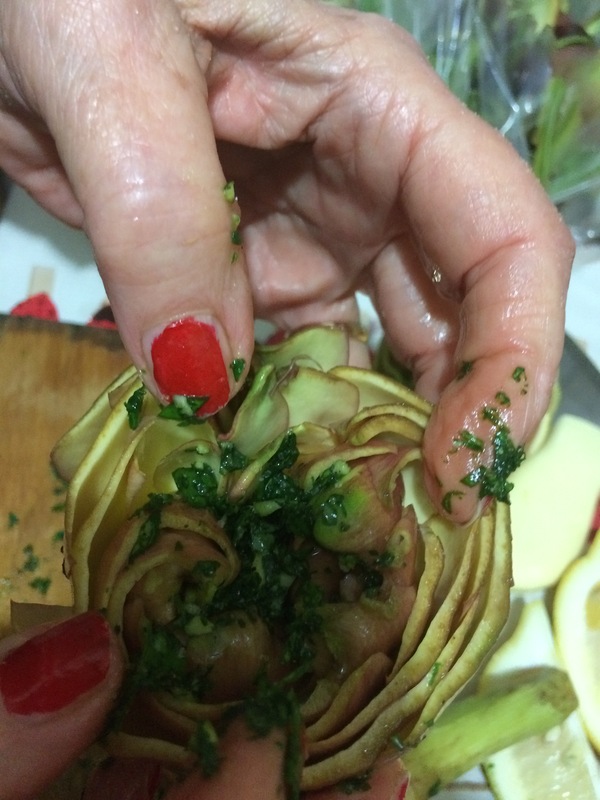 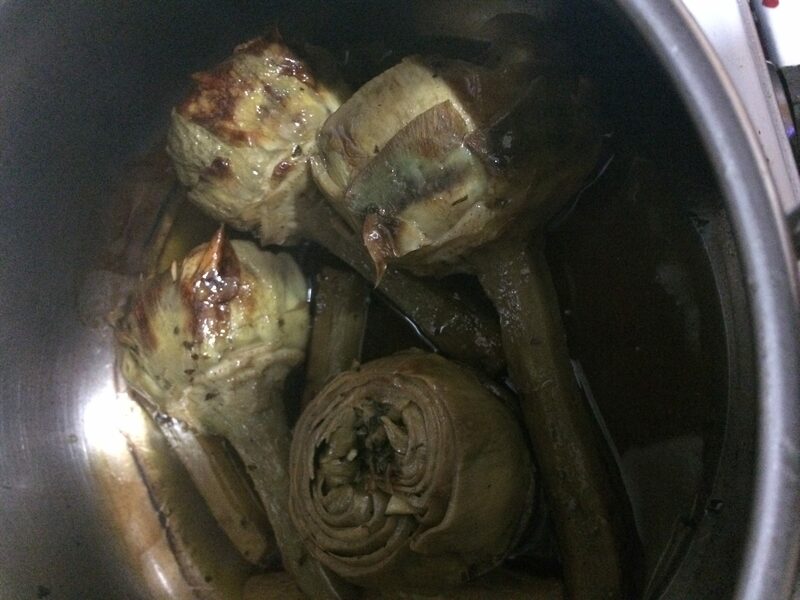 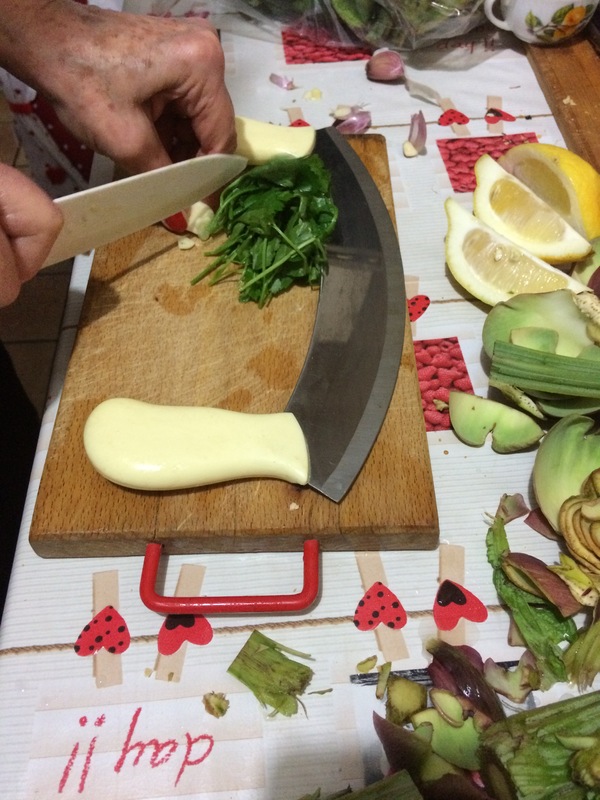 In the cavity of the artichoke from which the choke was removed, place 1 teaspoon of the herb mixture. 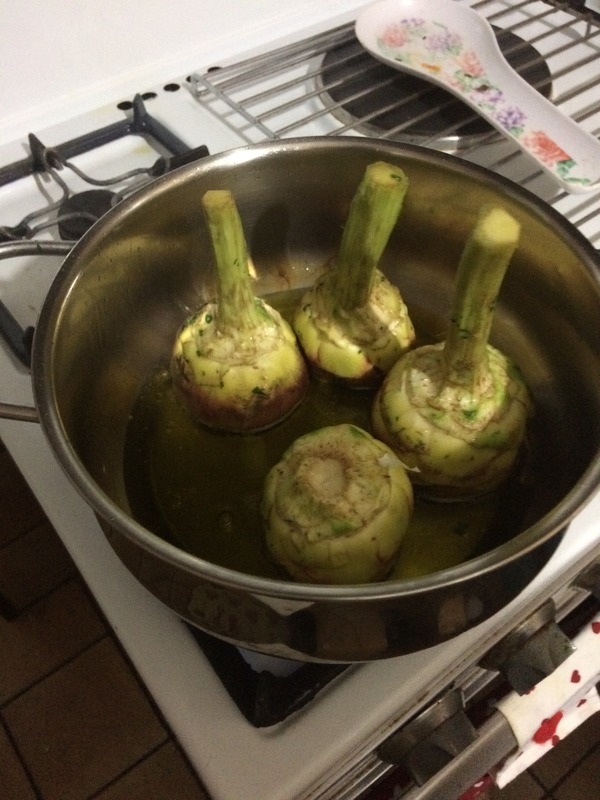 Repeat this procedure with the remaining carciofi. 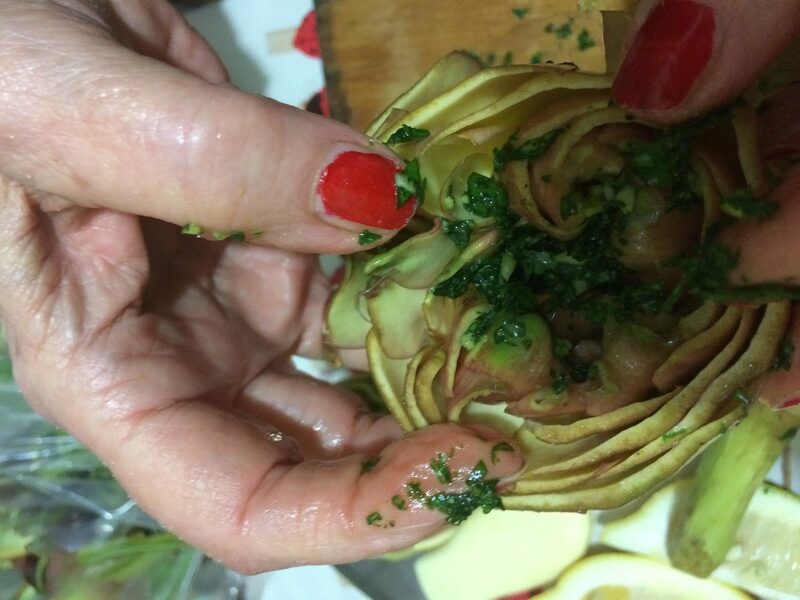 Arrange all artichokes in a deep pan that keeps them close together, in other words, one that doesn’t give them room to fall over. 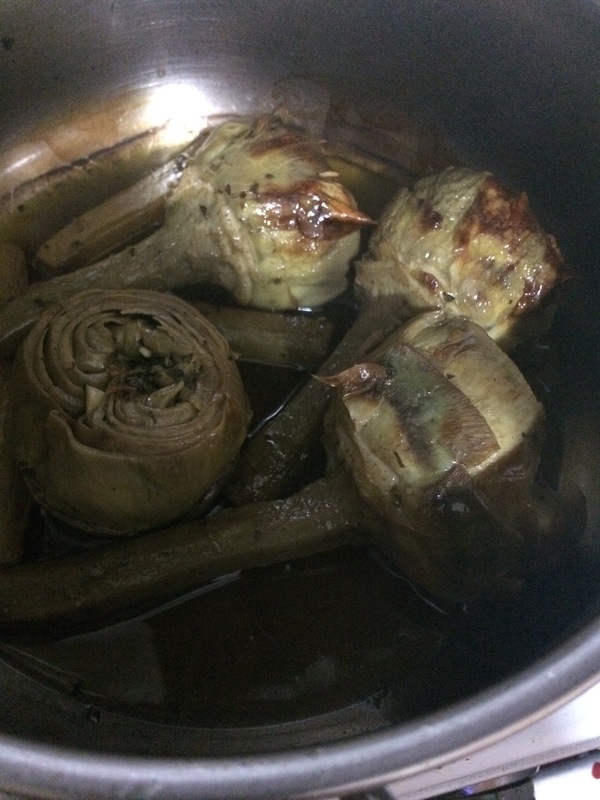 Add the wine, boiling water, remaining oil and a pinch of salt. 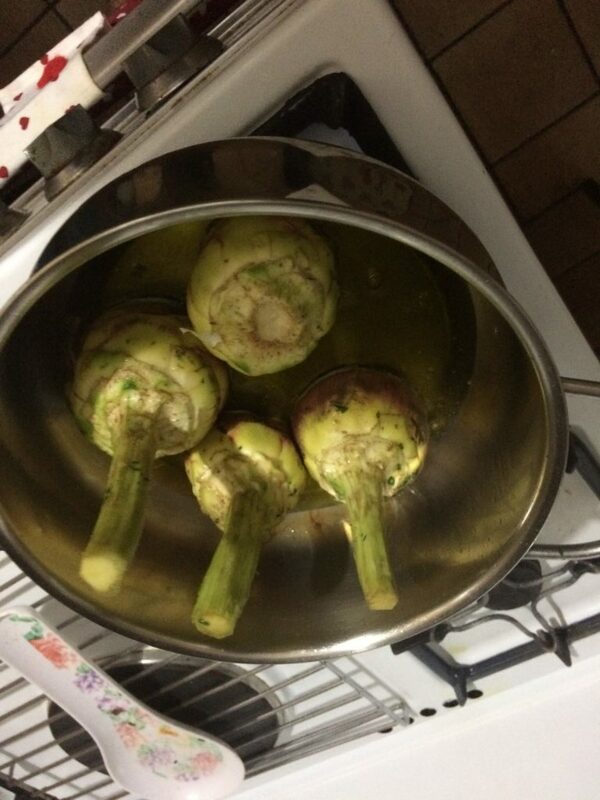 Cover and simmer on the stovetop 20 minutes.